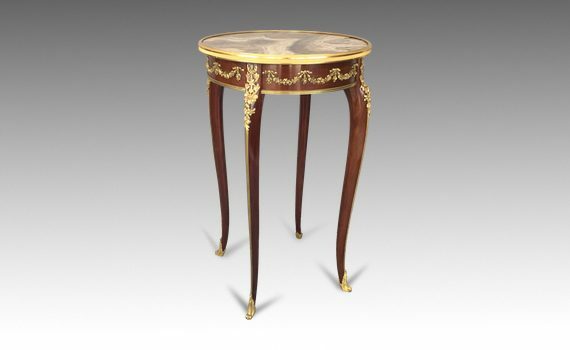 A late 19th century gilt bronze mounted mahogany guéridon in the Louis XV style. 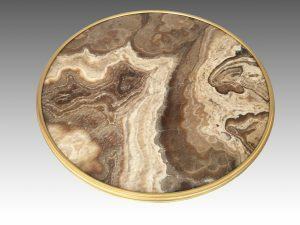 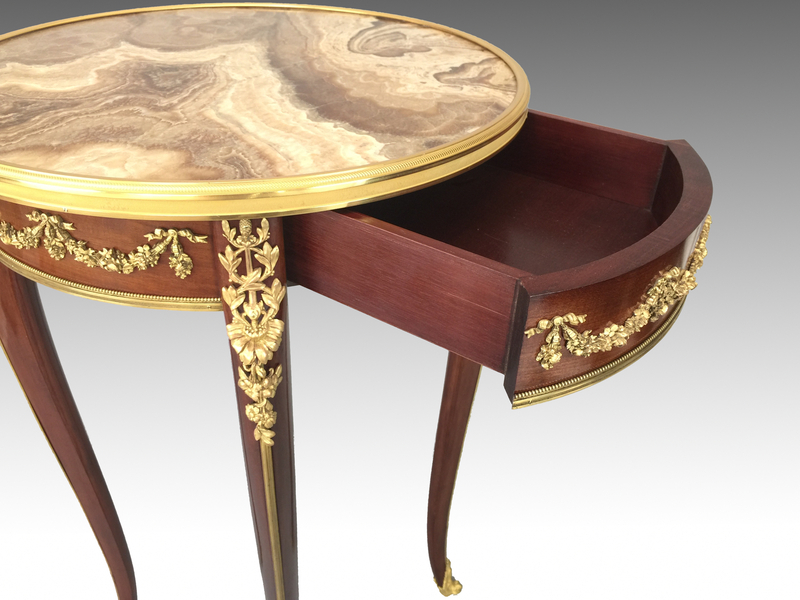 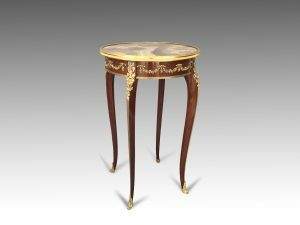 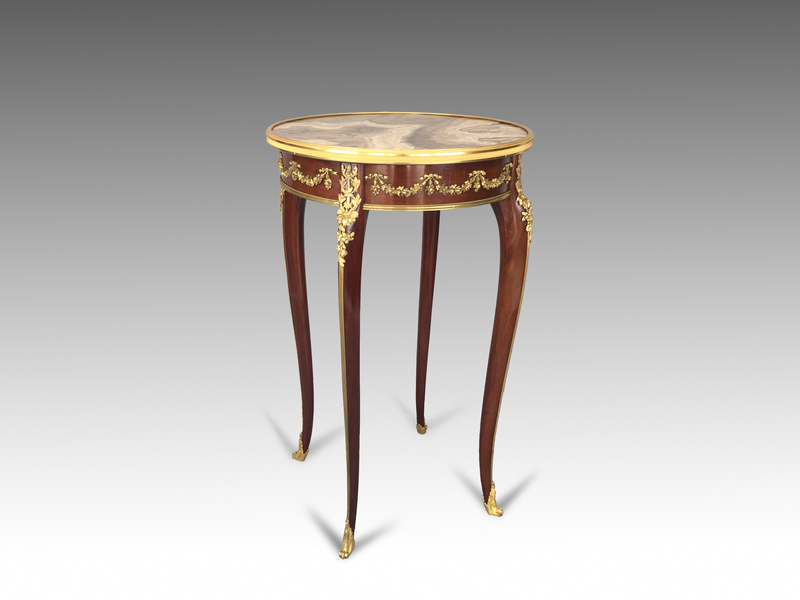 The circular Alabastro Fiorito top inset to a gilded rim above a single mahogany lined drawer, the friezes mounted with floral swags, standing on four slender hipped cabriole legs ending in sabots. 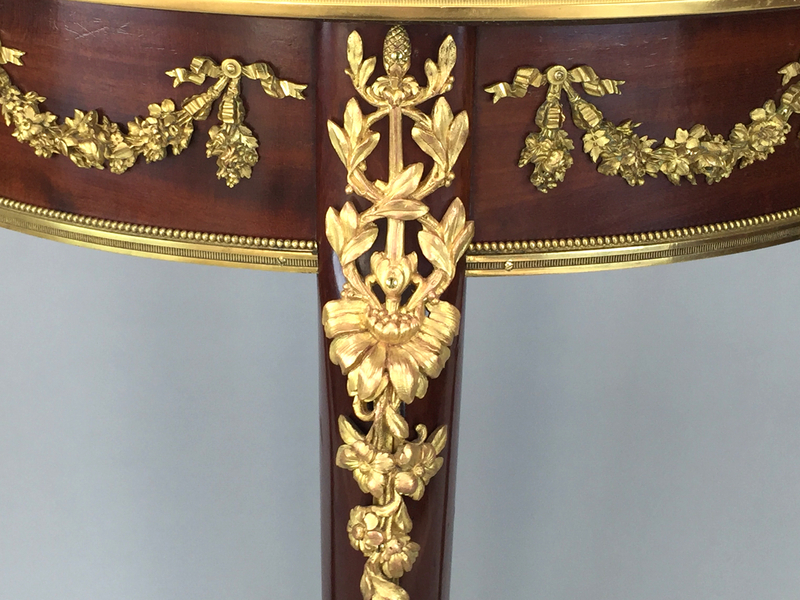 The alabastro top restored. Original gilding to mounts.